BWK Rogers PC is a CPA firm that was formed in 1981 and was formerly known as Rogers and Company. 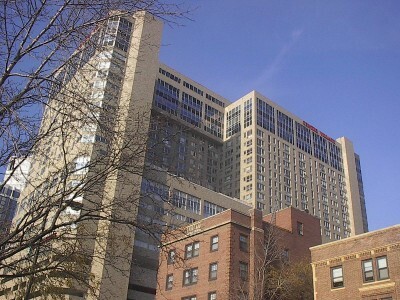 Our offices are located in downtown Minneapolis, Minnesota. We are dedicated to providing consulting, accounting, auditing, and tax services to nonprofit organizations. Although we are a local, single office firm, BWK Rogers PC is a member of the NonprofitCPAs, which is a nationwide network of CPA firms committed to serving the nonprofit industry. As such, we have the ability to draw on the expertise of many CPAs from around the country who spend the bulk of their time addressing issues pertinent to nonprofit organizations. Our offices are located on the 24th floor of the Centre Village Tower. BWK Rogers PC's primary goal is to provide the highest level of auditing, consulting and tax services on a timely and efficient basis to nonprofit organizations. Our team of CPAs and staff accountants combines more than 60 years of accounting and tax experience. The company is also committed to training accounting students for careers in the not-for-profit industry and public accounting.